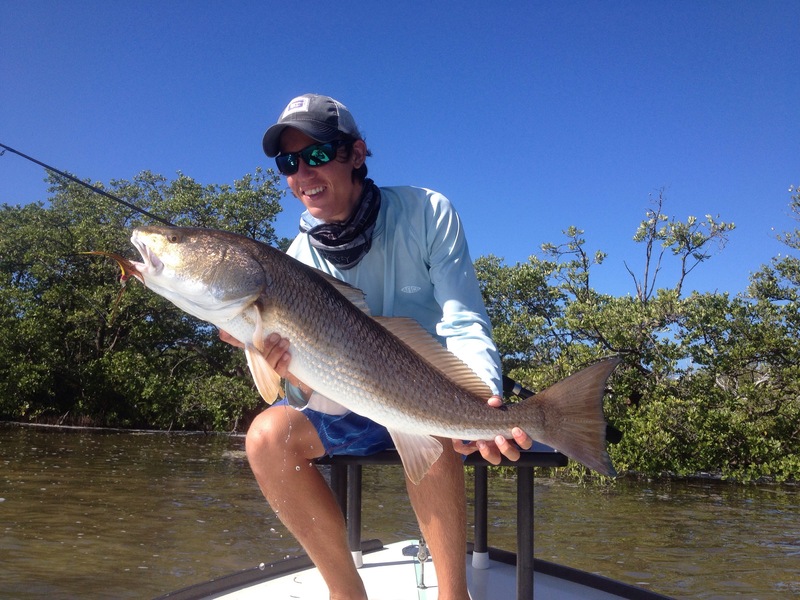 As a fourth generation South Floridian born and raised in the Upper Keys, I’ve been fortunate enough to grow up fishing the waters of Florida Bay, Everglades National Park, and the Lower Keys. After acquiring my captain’s license at the age of 17, I decided to kickoff my guiding career while attending Florida Gulf Coast University. After four years of continuously guiding in the Keys and attending classes, I earned a degree in Marine Science. 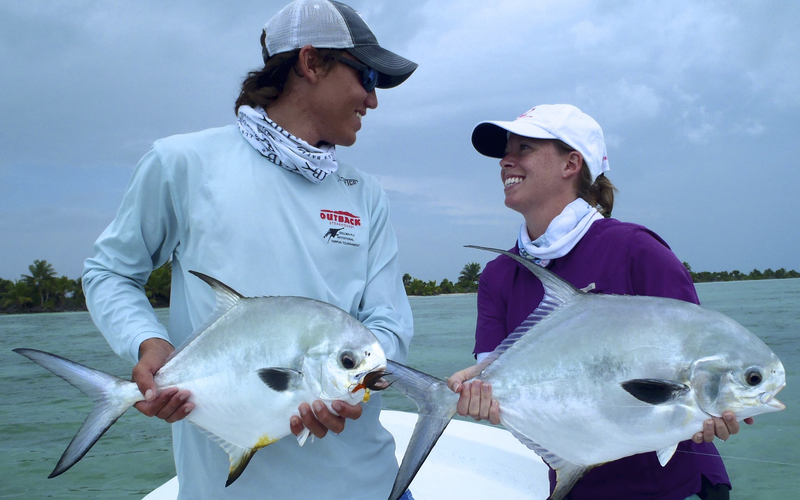 Fortunately along the way, I was lucky enough to meet my wife Brooke (who also grew up on the waters of Florida Bay, has professional experience in catch-and-release fisheries science, and now helps run BlackFly Charters). Richard and Brooke with double Permit on artificial. Many times my customers ask: “What do you do on your days off?” My answer: “Go fishing.” I love being on the water, so when I’m not guiding, I’m still out fishing and it’s usually with our young daughter, who already has a salty heart. That’s the great thing about fishing the Keys- there’s always something to fish for. Our daughter, M.E., checking out her catch before Dad releases it. Richard love the new site and will pass it along to my friends, family and customers. Anyone who fishes with you will be guaranteed a great day on the water! I have had the opportunity to fish with Captain Richard on several occasions, he is extremely knowledgeable and incredibly talented. Gladly he is also very patient with his anglers and does his best to teach them so that they can improve their fishing skills. You can tell he has been fishing all of his life, he knows the fish and how to find them. 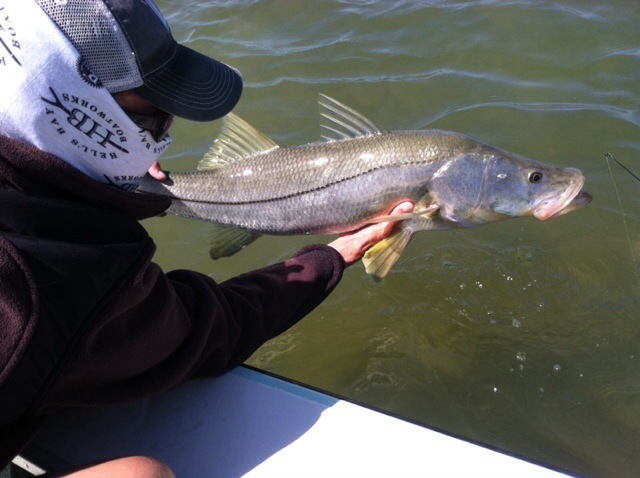 Capt Richard is a true professional who knew where to go to get on huge Snook. The smallest fish was slot. I look forward to many more trips with Capt Rich. Thank Capt. Captain Richard took my 9 year old son, Aidan, and our two friends, BB and Steve, on a full day charter. It was Aidan’s 9th birthday and what a birthday it was! 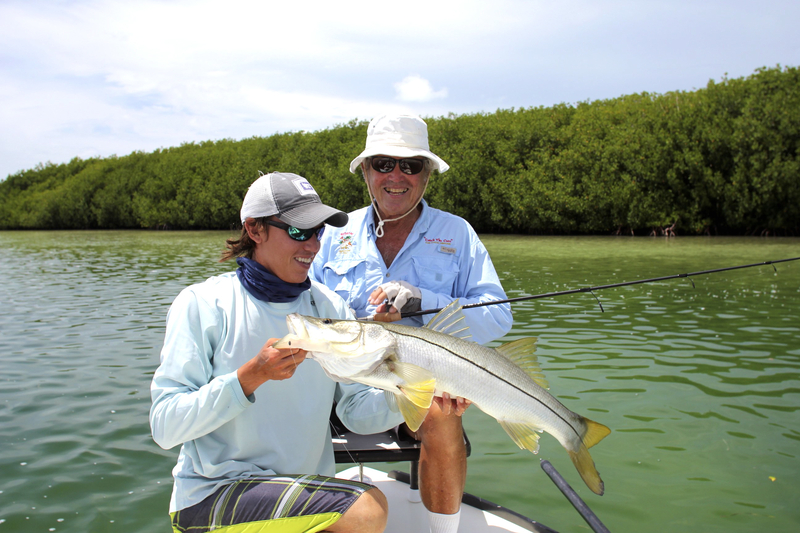 He guided them to catch 17 snook, 2 lemon sharks, 2 ladyfish, 2 barracudas & 1 jack. Needless to say – Aidan had the BEST birthday ever! I had a great time fishing with Captain Richard fishing for sharks on a fly rod. Chico Fernandez recommended him, and I am glad I was able to book a day on Richard’s schedule. After catching 3 sharks and breaking off 2, we then successfully hunted for bonefish. Richard has a great temperament, and he is a great teacher. He worked hard and did not stop the entire day! I had a great time and look forward to fishing with Captain Richard again soon. Thanks Captain Richard for a great time! I was treated to three days on the water with Captain Richard who put me on four of the five largest fish I’ve ever caught including grouper, cobia, snook and tuna. As I’m an amputee and have lasting effects of polio he had to work extra hard for me while at the same time taking care of my two brothers. In my 66 years I’ve never seen a more proficient, efficient, skilled guide and boat operator. A true professional in every sense of the word. Just watched Flatsclass on the Destination America channel. I was completely impressed with the young Captain Black’s knowledge of the fishery and his skill at his craft. I hope that I will one day have the opportunity to have him teach this old dog a few new tricks. Would love to take a trip with your charter when I come out later this year! Thanks anglersguide71. Be sure to email my wife, Brooke, at bdenkert@gmail.com to schedule. The Fall books fast.